This is what leads to epicness. 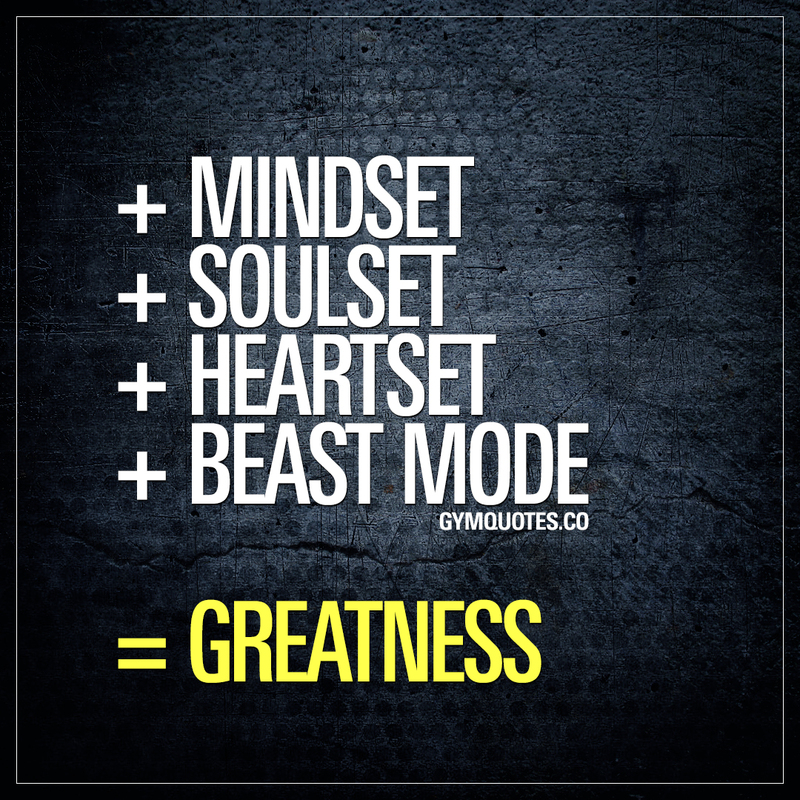 The combination of the proper mindset, a healthy soulset, a loving heartset and a big dose of beast mode all leads to greatness. Believe in yourself. Be happy. Spread happiness. Love yourself and go beast mode. Train and work hard and you’ll achieve your own personal greatness. If you like this quote, then make sure you share it with someone you want to inspire. Help someone else feel good and inspire others!